Here’s the most #relatable tweet I’ve found since my return from our workcation to Austin, Texas, land of ten-gallon hats and $10 gin & tonics. Nobody’s expecting a several-sentence answer to that. But it took some exposition! Because we did stuff, sure. But we didn’t have any client meetings in the area, we weren’t quite on vacation… we weren’t really doing anything specific. 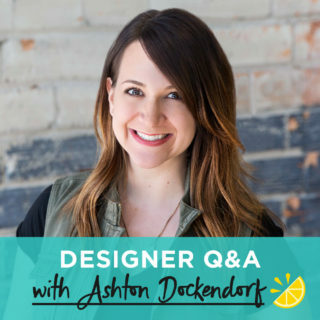 In my time as a semi-seasoned Lemonhead (I celebrated my first anniversary a few weeks before we took off), I’ve come to appreciate the common-sense approach leadership takes when it comes to the way we damn millennials are used to working and communicating. 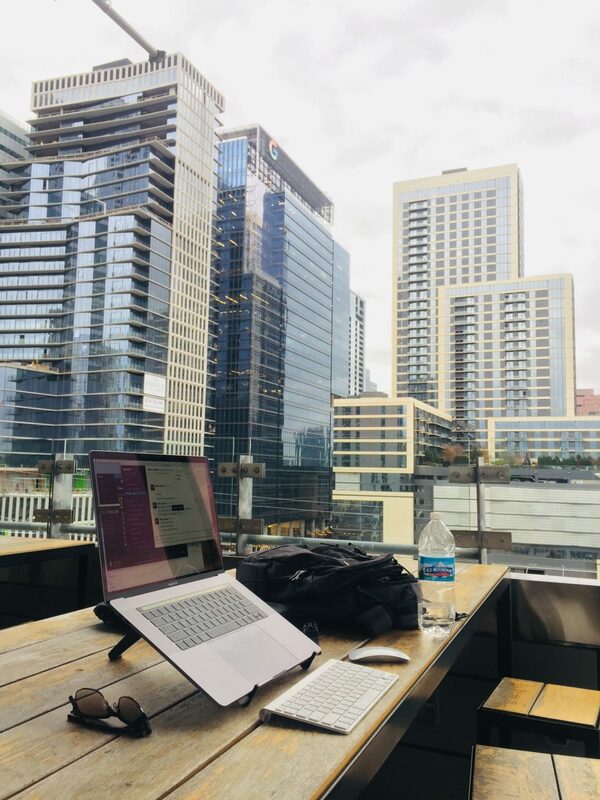 We’ve talked at length about our remote-work policy, including our two favorite Canadian coworkers, and the success we’ve seen letting our employees work from pretty much wherever they want. Compound that with our core value of Adventure, which encourages (and sometimes forces) Lemonheads to leave their comfort zone in search of personal and professional development, and we started asking ourselves some questions: Why wouldn’t we get just as much work done halfway across the country than we would at the coffee shop down the street? Why can’t a day in Austin balance work with leisure just like I do in Sioux Falls? Why do I need a reason to go work somewhere else? Common sense ensues, and a beautiful workcation baby is born. Inspired by last year’s long winter, my fellow content manager, Maddie, raised the idea of playing snowbird for a few days to the team. 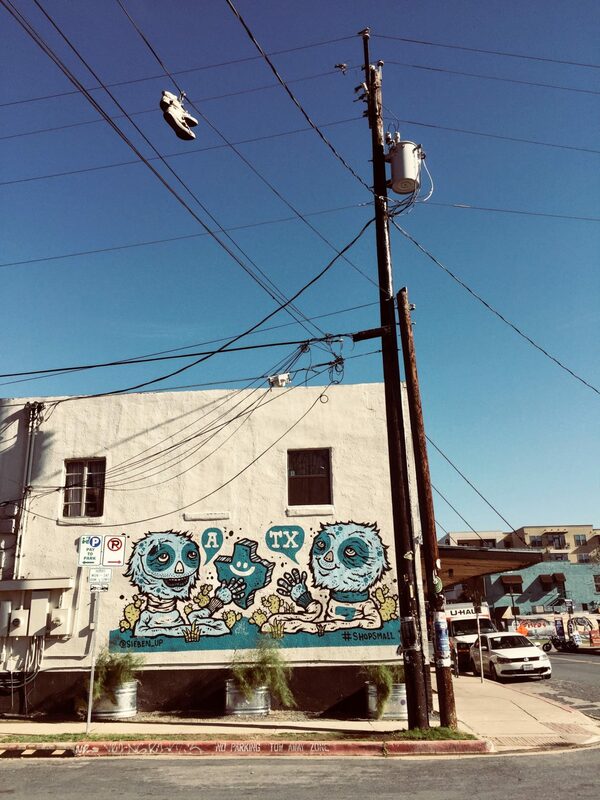 We browsed our favorite travel deal site for a few months until a flight showed up to a place we were all intrigued by: Austin, Texas. We snatched up some tickets, settled on an Airbnb about as quickly as you’d expect six indecisive and paralyzingly polite 20-somethings to do so, and got to work on a Google Doc where everyone shared the spots they wanted to hit. Departure day finally arrived, and despite being a little overly optimistic about the time of morning we could all roll out of bed and get on the road, the journey went off without a hitch. 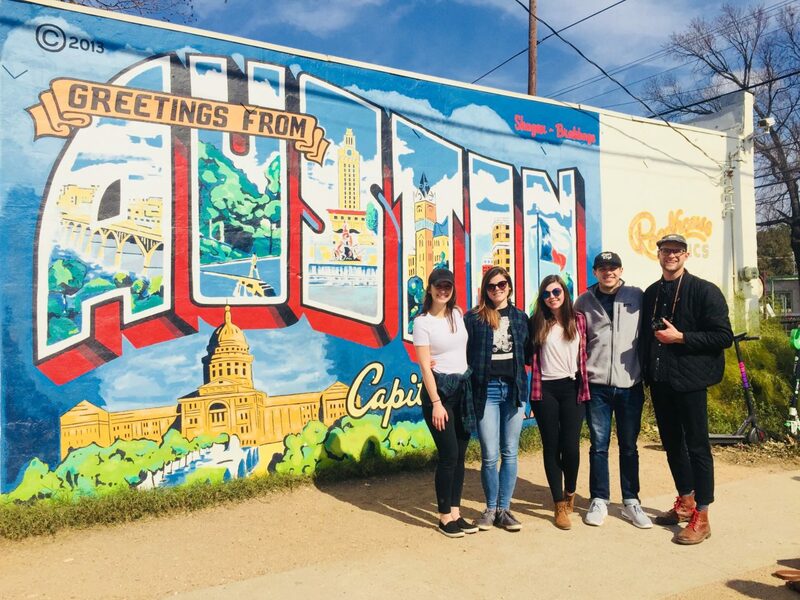 After landing in Austin and Lyfting to our abode, we unpacked and set out to see what the city had to offer. Of course we did more than our fair share of lounging, shopping, eating, typical vacation stuff. But this isn’t a travel site and you probably don’t care about the hidden gems I enjoyed the most. 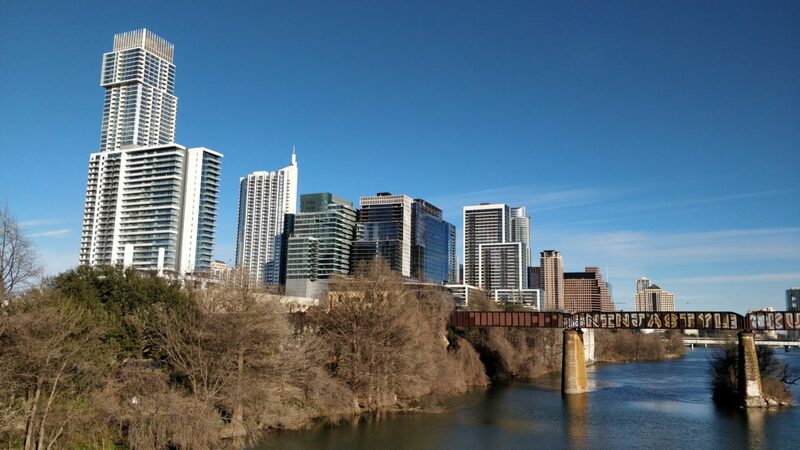 So I’m going to attempt to share more R&D than R&R—the ways a no-big-deal workcation to Austin allowed me to take away more than I would’ve from a typical trip and why you should spend your precious time perusing this blog post. As I’m sure is news to exactly nobody, Austin probably returns more “tacos near me” search results than any place in America. I couldn’t pick a favorite because they all offered something so different, but the ones I appreciated most were the ones who let me know what I was in for and built up every step of their experience in a way that helped deliver on those expectations. And I think that could teach us some lessons about succeeding in a service industry. 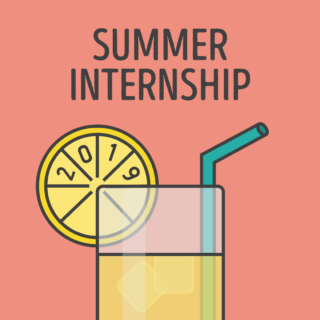 If you’re at all familiar with the local marketing scene or if you’ve worked with us before, there’s probably a certain bright, friendly, illustrative style that comes to mind every time you think about Lemonly. But that gut-feeling factor can’t just be fabricated all willy-nilly. The people we hire, design decisions we make, clients we take, creative exercises we undergo, et al. 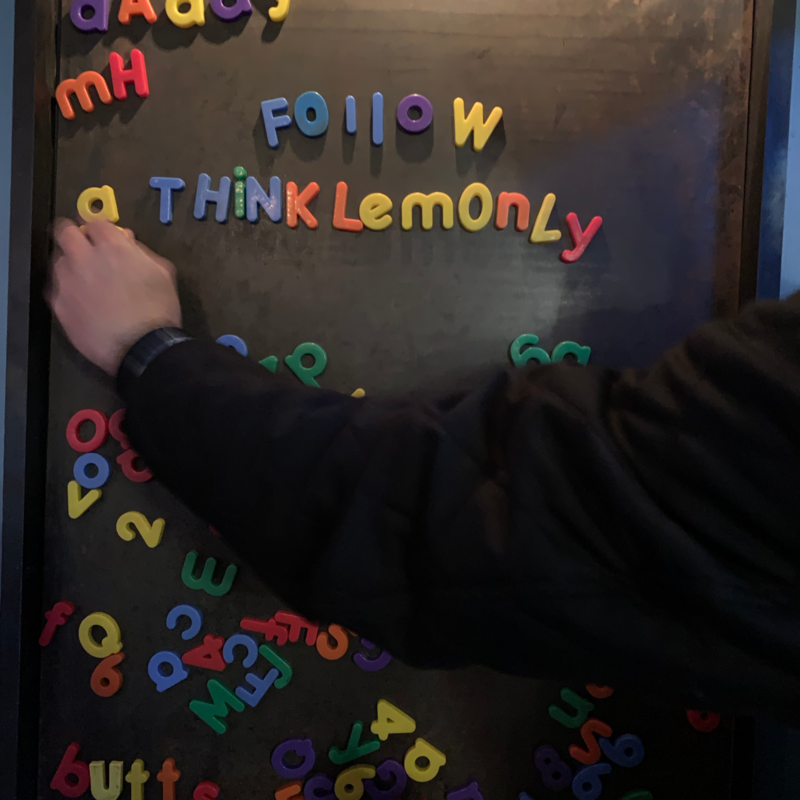 are held up against the culture we’ve built—not as some careful construction of our public image, but to ensure every part of the Lemonly experience is an authentic reflection of the expectations we set up. 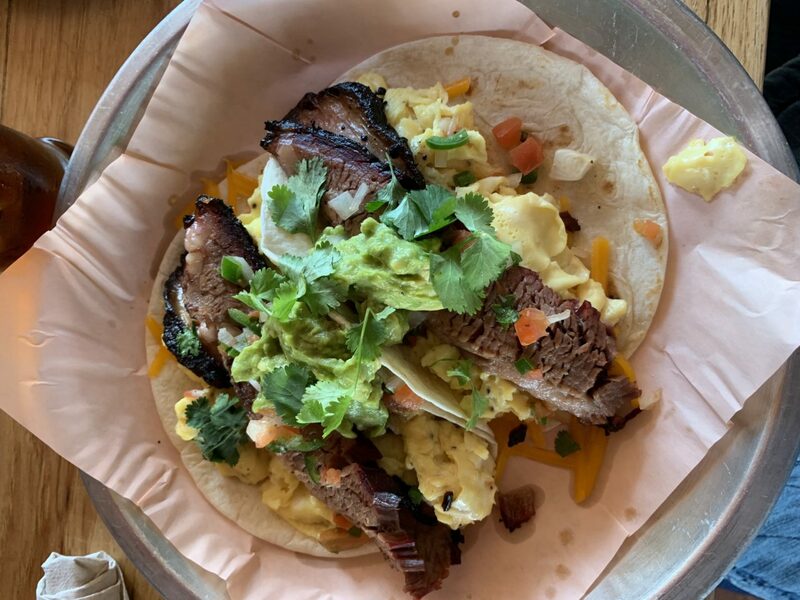 Scenario: You call ahead at a trendy (and spendy) Tex-Mex spot. It’s busy and a bit chilly, but they ensure their “patio seating” is heated and their website spins tales of an Oaxacan transplant bringing traditional flavors north of the border. You arrive, are ushered into what you’re pretty sure is a tent they found at a disaster-relief foundation surplus auction, and try to shiver a $26 taco somewhere near your mouth. You finally get it there and if this example is representative of the rest of the menu, you’d be fine if its flavors stayed in central Mexico. I try to be pretty reasonable about receiving less-than-stellar customer service. But a series of failed deliveries like that is bound to frustrate someone, and the same feelings translate pretty well to what I imagine it’s like working with an agency that doesn’t deliver the vision they sold you. If someone hires us, I’m proud to know we won’t promise them a heated patio, then stick them in a tent. I know they’ll get a team who actually cares about finding their expectations, meeting (or, ideally, exceeding) them, and making things right if we don’t. Which is where another Austin restaurant came in on the opposite end of the spectrum. After some Instagram sleuthing, I came across a place I knew I needed to try before we headed back home: JewBoy Burgers. 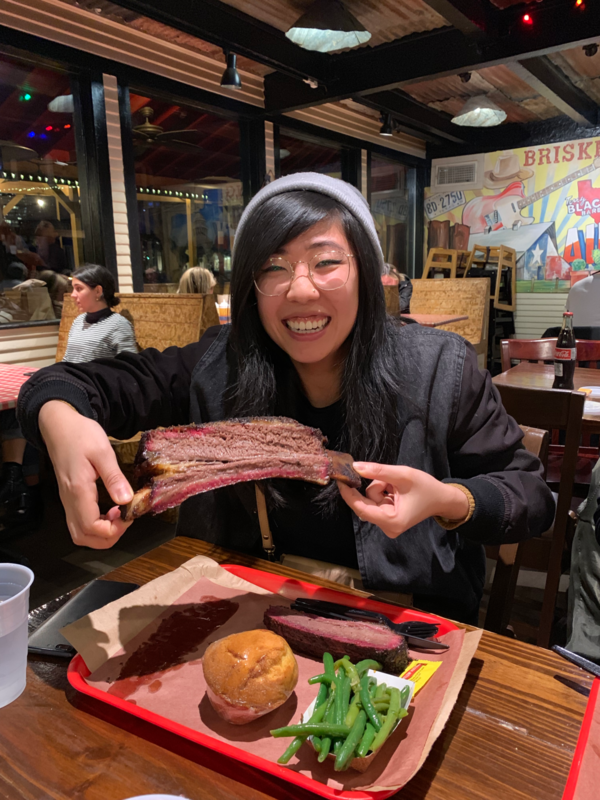 I began the journey with muted expectations—there’s no way something could live up to the religious experience that accompanied my first beef rib. But alas! We took a trip across town on a rainy Saturday evening and arrived to a surprise—JewBoy Burgers is a food truck. Plot twist. Normally, I’m all about the charm of food trucks, but I’ll admit the conditions called for a sit-down spot. I probably wasn’t the only one who wondered if we should try something else and save the burger joint for a potential future trip to Austin, but I know I’m not the only one who’s glad we stuck it out. From the first moment we walked up to his window, Mo, the owner, went the extra hundred miles or so to make sure we had an awesome time. He bought us Cokes as a thanks for coming out in the rain, patiently and transparently answered our questions about the menu, asked us our culinary preferences to make sure we’d like what we ordered, and threw in more free sides and experimental dishes than I can honestly remember at the moment. After starting our orders, he came down to help us push together and towel off a few tables, asked us about ourselves, and shared stories about how one goes from award-winning creative director to mobile chef (“I spent half of my life building other people’s brands and finally decided it was time I made my own”). The fact that I ate one of the best burgers of my life that night became an afterthought when I shared the story with friends, a testament to just how incredibly he treated us. It would’ve been completely understandable to take our money and go on with his life, especially considering we showed up about 20 minutes prior to closing time (sorry! ), but going out of his way to give us the best possible experience stuck with me in a major way. Mo’s generosity made me consider the capability we all have to make someone’s day a little bit more awesome. The clients we talk to on kickoff calls or present drafts to are doing their jobs just like us, but I think the steps Lemonly has taken to consider how we can maximize our client experience play a big role in people coming back or referring us to their friends. Of course you want the final result to blow people away, but the intangibles matter just as much. If a client likes my copy half as much as I liked that burger, I’ll probably go home happy, but our experience at that food truck encouraged me to consider other ways I could make my client interactions more productive and more enjoyable. Even if he made the most average burger in Austin, Mo would be near the top of my list of reasons to come back to town. While not every activity we put on the agenda taught us valuable lessons about client service, there’s no doubt we saw things and met people that helped us change our perspective. 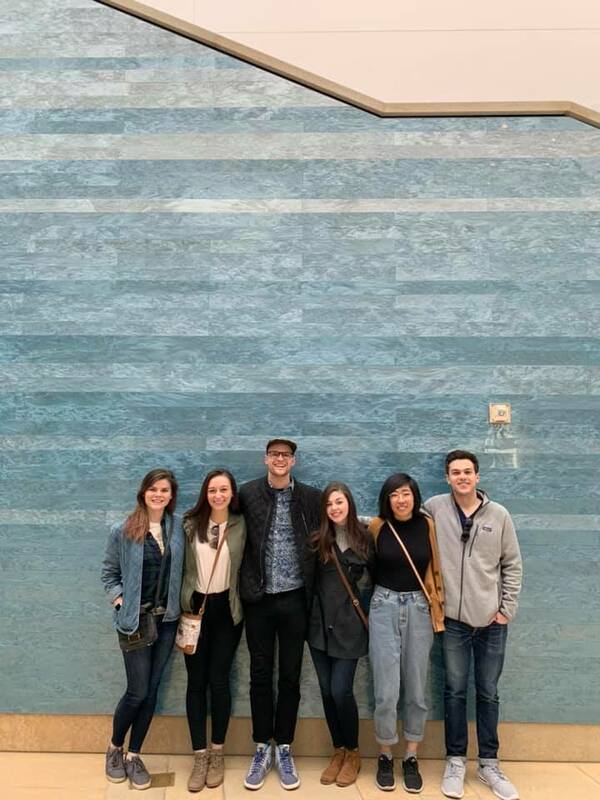 I think I can safely say all of us were in some way energized by something we saw at the Blanton Museum of Art, a contemplative, towering collection of modern and fine art in the heart of UT’s campus. 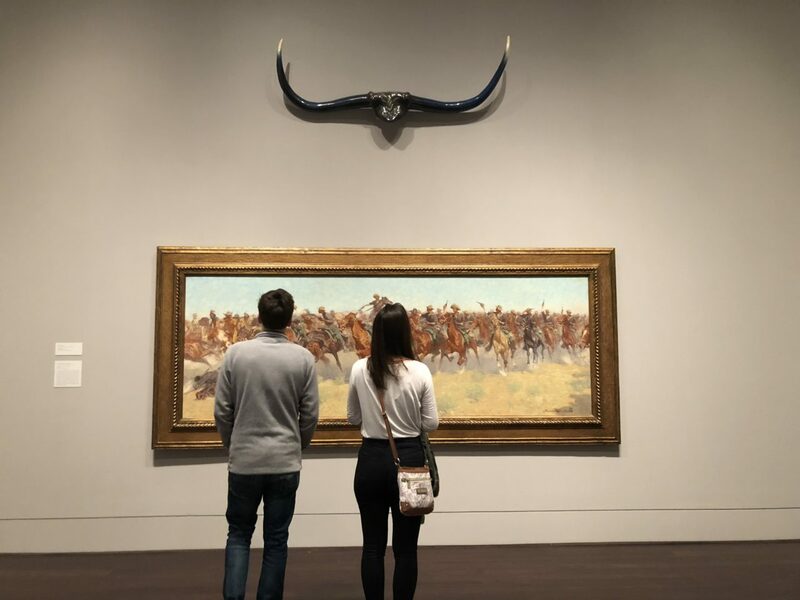 Seeing Renaissance-era paintings, innovative physical installations, Mexican-American art, and the rest of the museum’s works helped us get in touch with every “artist’s” aim of using his or her talents to leave a small mark on the collective landscape. 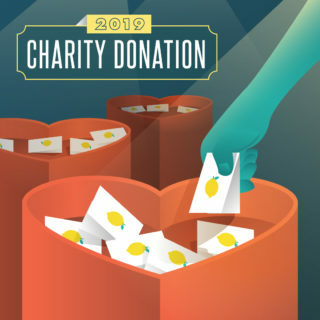 Forgive me for airing out my existential laundry on a marketing blog, but I don’t think it’s too highfalutin to say we put a little soul into the stuff we do at work. I’m thankful for the clients who allow us have really fun jobs and I’m proud to help them solve problems and reach goals through passions and skills I fostered as a kid in my parents’ computer room. While I probably won’t be proposing marble sculptures or rooms filled with money and bones on any upcoming client calls, taking it all in was a powerful reminder that there’s room for expression and interpretation in advertising—that highly intentional and personal creative decisions can be effective in sharing a message with your audience. We fragile creatives certainly appreciate the working world’s increased attention to how external factors affect production, but let’s be honest—it’s a lot tougher to do any kind of work when you’re stressed out, and I think that’s my greatest takeaway from our workcation experience: I’m proud to work at a place that invests in my development and everyday satisfaction. 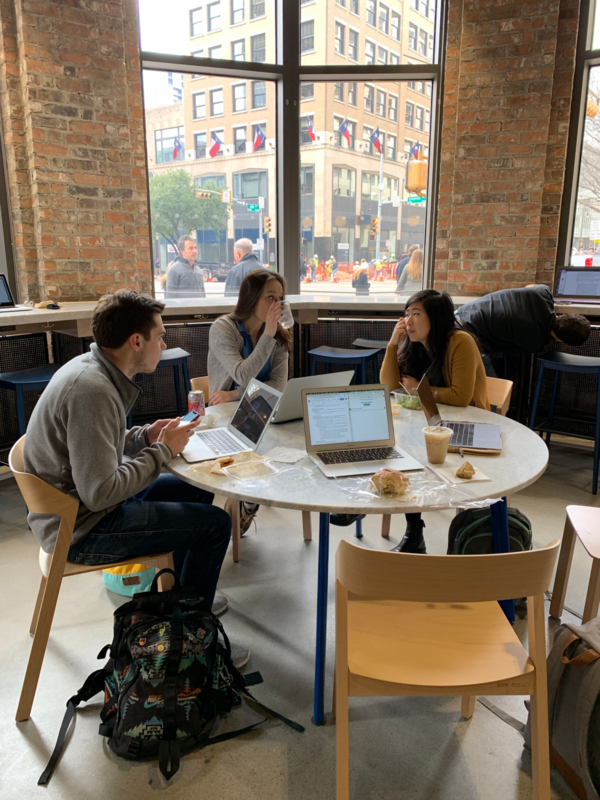 Remote work is far from a mind-blowing concept, and a company treating its employees like responsible human adults shouldn’t be as shocking as it is, but it still feels good to be part of a place that’s setting the example for common-sense work culture. I’m sure I occasionally annoy my superiors by asking them to push the envelope even further, but I don’t have to look at (extremely concerning) employee engagement statistics to know that mutual respect plays a big role in my and my coworkers’ desire to do our best work every day. The Brandon that wants to prove my coworkers can count on me to fulfill my agreed-upon responsibilities no matter where I am comes out above the one who wants to sip Corona and play Super Smash Bros. on the porch all day, and that kind of thing only works when trust goes both ways. 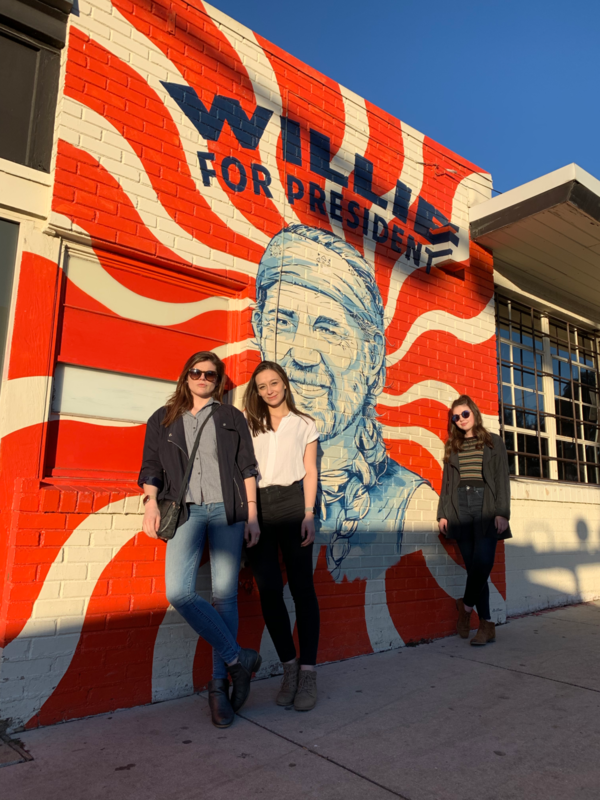 So, if a work trip recap blog post has ever served a purpose, let this one be a call for agencies to bet on the people pumping out your campaigns. Our industry is one where creativity, loyalty, and commitment are commodified and refined for maximum profit, and planting new trees while taking care of the ones you’ve got will get you a lot more paper than plucking that forest down to the last twig. But I also see it’s a two-way street that leads to a lot of lost work time if your employees leave their brains back home. So I also encourage fellow young professionals to respect the places that help turn their ideas into a paycheck. Put in your best and ask for the same treatment back. Acknowledge and praise companies who offer opportunities like these. And treat them not as something to be taken advantage of, not a handout that obligates you to brown-nose, but as exactly what they should be: Just another day away from the office. Yes, this was as good as it looks. My attempts at guerrilla marketing proved unsuccessful.